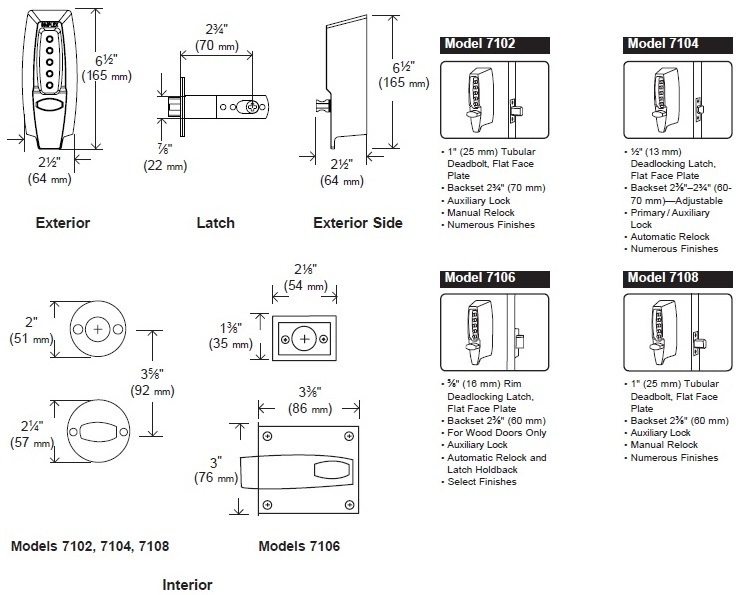 - 7102 (1" Tubular Deadbolt, Flat Front Face Plate, 2-3/4" Backset). - Select Finish: Brass (03), Antique Brass (05), Black (19), Satin Chrome (26D). - Delivery: The Simplex 7102 Pushbutton Lock is factory-ordered, please allow 2-3 working days' lead time. *** Brass (03) finish is currently on back-order with the factory; please expect 4-5 week lead time. Finish: Brass (03), Antique Brass (05), Black (19) & Satin Chrome (26D). - 7102 - 1" Tubular Deadbolt, Flat Front Face Plate, 2-3/4" Backset.